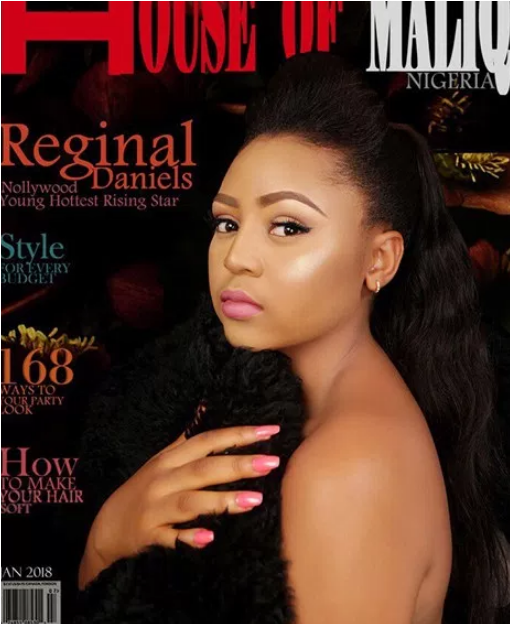 Fast-rising Nollywood actress, Regina Daniels, might not be considered to be at the peak of her career yet, but she is definitely having the best of times at the most. The teenage actress just revealed that she earns N600,000 per movie. 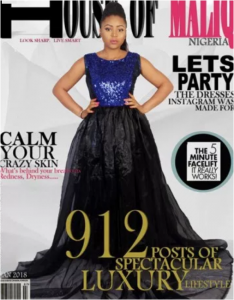 Regina Daniels on the cover of the latest edition of House of Maliq and she has a lot to say about her successful career in the movies industry. Regina Daniels is a Nollywood teen actress, model, recording artiste, singer and a philanthropist. She was born on 13th May, 2000 in Asaba, Delta State, Nigeria. She is currently 17 years old. She joined the Nigerian movie industry [Nollywood] in 2007 at the age of 7 years. In 2010 she rose to fame after starring on the blockbuster movie “Miracle Child” which was a tragedy movie. It may interest you to know that Regina Daniels is still in secondary school but she is already a mega star. She is currently earning #600,000 per movie. She was introduced into the movie industry at a very tender age by her mother. She currently has a fan base of 900,000 unique followers on Facebook and on Instagram. She is currently one of the richest and most influential teenage actress in Nigeria with an estimated net worth of $350,000. The teen actress just gained admissions into the University and it is certain that by the time she has her 1st degree, she will surely be ranked among the highest paid Nigerian actors.